Visit the INTO 2018 showroom! New this year during the two-day seminar is the opportunity to visit the stands of major firms and research groups where they will display their solutions, products and services based on IoT for the tourism industry. Sales advisers will be on hand throughout the day to give visitors information on Endesa’s charging point options for companies, businesses, car parks and homes. They will explain how the charging points are installed and operated and inform you about the finance options Endesa offers. At the fair, there will also be two electric BMW i3 cars, a charging point and leaflets explaining their offer and how the Endesa ecaR auto-charging club works. This club provides six rapid charging points in Mallorca and five semi-fast charging points in Ibiza. MODO - Intelligent control solution for HVAC in holiday homes. One of the main expenses in holiday homes is climate control and its irresponsible use. Air-conditioning units can be on for many hours even when nobody is there. But owners cannot afford the same energy-saving solutions as hotels because they require high initial investments. MODO is an ideal solution for holiday homes as it allows you to control your air-conditioning units automatically without having to change them. Movement detectors, temperature and humidity sensors and controllers enable the system to control the HVAC based on when the guests are in the rooms. Using the functions of a smartphone app, owners or agents can monitor and control the holiday home wherever they are. The COL.diesis4D system generalises and implements a system that allows end users to relate sound (music) with colours quickly and efficiently in a real environment for an independent guide through a holiday location or possibly any public building. This is achieved with a mobile phone and its camera. As the service is mobile and can be configured individually for every user, it can adapt to each individual's sensory abilities. 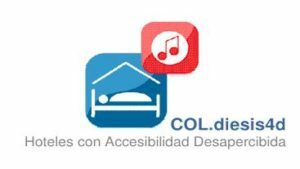 The project’s aim is to promote subtle accessibility, in the sensory plane, ensuring that the design of hotels and all their services are accessible to users regardless of their sensory characteristics. ET Integra, a company that automates your software and your business, provides a solution that enables your company’s software to communicate with other software and execute previously configured procedures; and Hotelequia, a company specialised in technological solutions for the tourism sector in general and the hotel sector in particular. They are doing a joint presentation at this 13th INTO Seminar. With the ET Integra solution, several systems with a standard format can be integrated so that two different systems can communicate, thus facilitating the automation of administrative tasks, such as downloading bookings and updating prices and inventories, receiving and entering invoices, payment automation and the automatic sending of notifications. And Hotelequia has a global solution enabling guests to talk directly and unobtrusively with the hotel’s AI through a chatbot and/or smart speakers connected with other devices through process automation and automation systems. 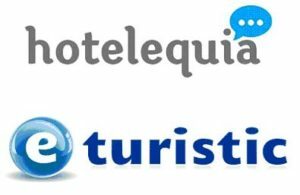 Thanks to ET Integra, Hotelequia can be integrated into any software you have: Channel Manager; Booking Engine; Custom Relation Manager (CRM); Central Reservation System (CRS); Property Management System (PMS); Payment gateway; automation system equipment. NUUK was established to design and develop a new generation of affordable high-quality electric vehicles. Its range of electric mopeds (4 kW) and motorbikes (8.5 kW and 10.5 kW) ensures you can easily get around the city (Urban line) or hit the road (Tracker line). They have been designed to meet the needs of both individuals and professionals (Cargo line). But NUUK does not just mean power as it is also synonymous with stability, safety and autonomy. It gets its stability from the perfect balance and distribution of weight provided by the BOSCH central drive, which is unique in its range, and the comfortable shock-absorbing of its inverted fork and its 17-inch wheels. Together with the grip afforded by its top-brand tyres, the braking system provides ideal control whatever the condition of the road. Equipped with up to four 50 A batteries, the vehicles can exceed a range of 265 km. With NUUK you can travel long distances before charging and there are two options: standard and quick (50% in 1.8 hours). But your driving experience doesn’t end there. NUUK will incorporate the innovative Bosch Light eMobility technology throughout its range. With this app, users can access information on their vehicle as well as their geolocation to ensure there are no nasty surprises on their journey. NUUK is a buzzing project, an intelligent and alternative approach to electric motorcycling. Not only is it here to stay, It's here to lead the way. Televes carries out comprehensive projects aligned with the requirements of the clients in the Hospitality sector. The company puts its expertise into play for the development of telecommunications solutions for the integration of customized television services, the permanent connection to the Internet or to added-value audio-visual contents, the digital signage, the security systems, the management tools, and the energy efficient solutions. The big challenge is the deployment of advanced optical-fibre PON multiservice networks to the hotel rooms (FTTR-Fibre to the Room), combined with power-controlled MyNet Wi-Fi access points in common areas. Such solutions allow establishments to provide the services their clients are asking for using infrastructures that are prepared for the implementation of future services; thanks to the new FTTR technology, this entails some additional advantages such as Capex and Opex savings.